Impressions of a Reader...: New July Releases I can't wait to read! I will be running to Borders on 7/27 for the Hoyt book. I have been waiting for it since last year. I REALLY hope it will be good, the premise sounds fab. The Search and Bonds of Justice are the two books I've been looking forward to reading for the July early releases. At month end I have loads of books I want to buy: Waking the Witch by Kelley Armstrong, Deadly Fear by Cynthia Eden, Into the Crossfire by Lisa Marie Rice, and Bedding the Enemy by Mary Wine. Ooh, I hadn't seen that Dark and Stormy Knight! I'm always up for some Harry Dresden, Kate Daniels, and Cormac. Will be looking for it! 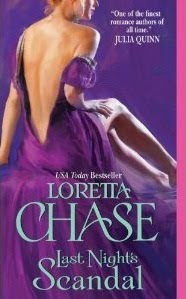 I'm also looking forward to the Chase and Hoyt--though I've still not successfully gotten back on the historicals, yet. Hope springs eternal, and I love both of these writers. It looks like you have some great reading ahead, Hilcia! 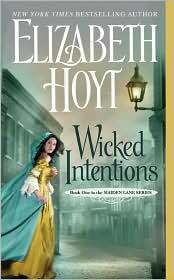 Oh, the Elizabeth Hoyt book sounds good. I am looking forward to Bonds of Justice as well and I simply must get a move on and read the Guardian series! Renee, Dark and Stormy Knights includes some really great authors. I almost missed it too & want it now. :) You know? Reading the historical/rom americana has helped me get into the groove again. Although I'm still not reading too many new releases -- Kleypas and Balogh being exceptions. But I'm definitely looking forward to the Chase and the Hoyt. Orannia, I hope you enjoy BoJ! I did! I think you'll love the Guardian series... specially since you love the Changeling/Psy series. It's an excellent PNR series and I love it. I am definitely going to get Demon Blood! 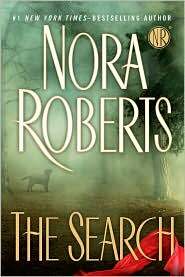 Because I am a huge NR fan I am for sure getting the search. Last 2 months and counting I've dedicated my life I meant my time lol to reading both NR and JD Robb. I'll probably try Hoyt's book too. Surely this month is going to be filled with excitement. Have fun reading! Firepages, I can't wait for that book! Natalie, I'm really looking forward to Nora's new release, and I know exactly how you feel -- catching up with her body of work is time consuming but a pleasure. :) And ohhh, I hope you enjoy Elizabeth Hoyt. I loved her first Georgian series and enjoyed the last one. Some good ones Hils. I've got the NR and the anthology requested from the library. And I'll get the Hoyt too. What stories are you looking forward to in the Dark and Stormy Knights? Warning, the stories are really short. Well you already know what books I'm looking forward to from my post at Breezing Through. 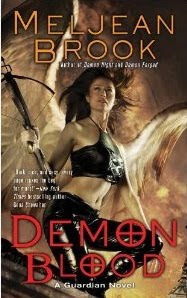 I read the blurb for Demon Blood and it sounds really good :D I think I'm just going to skip Demon Forged LOL. KMont, I'm really looking forward to reading that anthology! Leslie, I'm still behind on the WVMP series by Smith-Ready... I really need to catch up with her! Did you ever read Jim Butcher's novels?